Mohammad Majd graduated with $55,000 in student debt in 2009. When I graduated from Drexel University in 2009 with a degree in engineering, I was 23 and had $200 in my bank account. I was subletting a small studio apartment in Philadelphia with two other engineers. Our combined student loan debt was well over a quarter of a million dollars. Out of the three of us, I came out by far the least scathed -- I had about $55,000 in student loans. This was after receiving grants, scholarships, and help from my parents every year. The loan burden: My roommates each had over $100,000 to repay. One of them currently waits tables on weekends on top of having a full-time engineering job. He's been doing it since we graduated in an admirable effort to pay down his student loan debt. Paying down debt: Aside from moving out of that studio and into a small two-bedroom apartment, I maintained the same modest lifestyle I had while I was a student. A lot of my friends were still struggling to find jobs, so there wasn't much social pressure on me to get a new car, a nice apartment or eat out at fancy restaurants. Coming out of school just after the financial crisis had a big impact on me. I wanted to know what had just happened and why my friends weren't getting the jobs they deserved, so I started reading a lot about the crisis and about economics in general. One important concept that I came across was Opportunity Cost -- the notion of quantifying what you give up when you chose one option over another. I asked myself: Why am I rushing to pay off loans with 3% to 6% interest rates when the S&P has historically returned 11%? Game changer: I changed my entire philosophy on debt. I started making minimum payments on my student loans, picked up a "Stock Investing for Dummies" book, and put whatever extra money I made into the stock market. When I turned 26, I noticed something astonishing My student loan debt and the money in my investment account had converged to the same amount -- $35,000. It was a really good feeling knowing that I could wipe away my entire student loan debt with just a few mouse clicks, but I opted to continue making minimum payments. After eight years, I would have $63,000 (assuming an annual return of 10%). After eight years, I would have $75,000 (assuming an annual return of 10%). Sure, that is simplifying it a bit. Obviously, the stock market doesn't return 10% every year on the dot. These numbers also don't take taxes into account. Student loan interest is tax-deductible up to $2,500, and capital gains is 0% for anyone who taxed at the 10% to 15% rate. But for many of us who have grown up in modest households, we are taught to pay off debt quickly. It's not a bad lesson. But if you want to get rich, you might be better off making the minimum payment on your student loan and investing the rest. I'm glad I did the math. Mohammad Majd works at an engineering firm in Philadelphia. 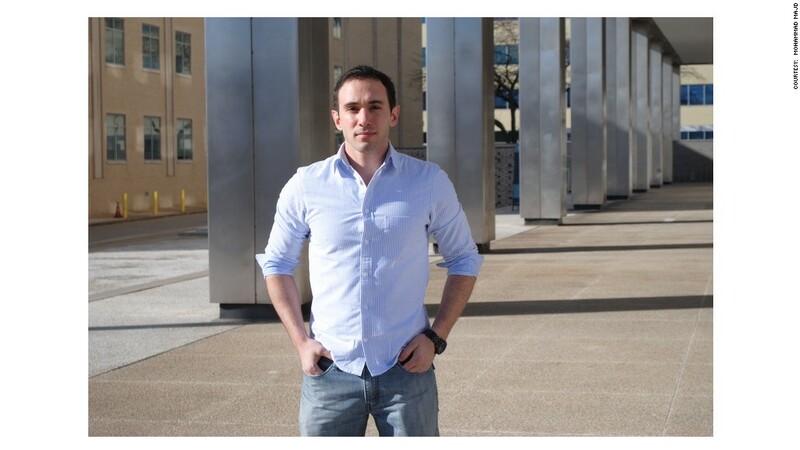 He wrote this piece in response to a CNNMoney story "How I paid off by student loans by 26."